This session is 50-55 minutes and consists of one student and one instructor utilizing the Pilates equipment. It is highly recommended if you have never taken Pilates before, are injured, or you have not exercised in a long time. A private session will provide the opportunity to have the instructor personalize the workout for you. 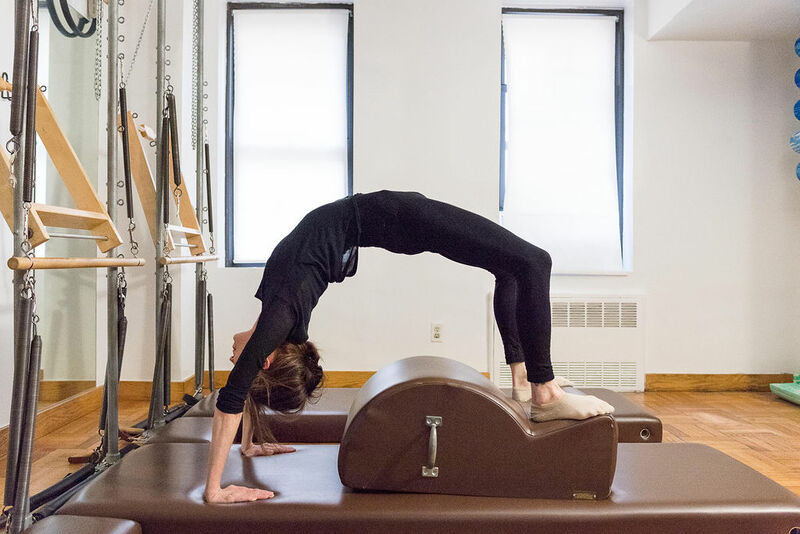 It will also allow you the time to ask the instructor any questions you may have and allows you to learn the language of Pilates in the most effective manner. This session is 50-55 minutes and consists of two students and one instructor utilizing the Pilates equipment. It is recommended that students interested in duets take private sessions first. A duet will prepare you for the possibility of working out independently in the future. The result of duet sessions produces an understanding of learning the order and spring settings. It is recommended that you supply your own partner, however, we will be able to match you with someone at your level.